It is so fun to have these gorgeous flowers to bring in my house. 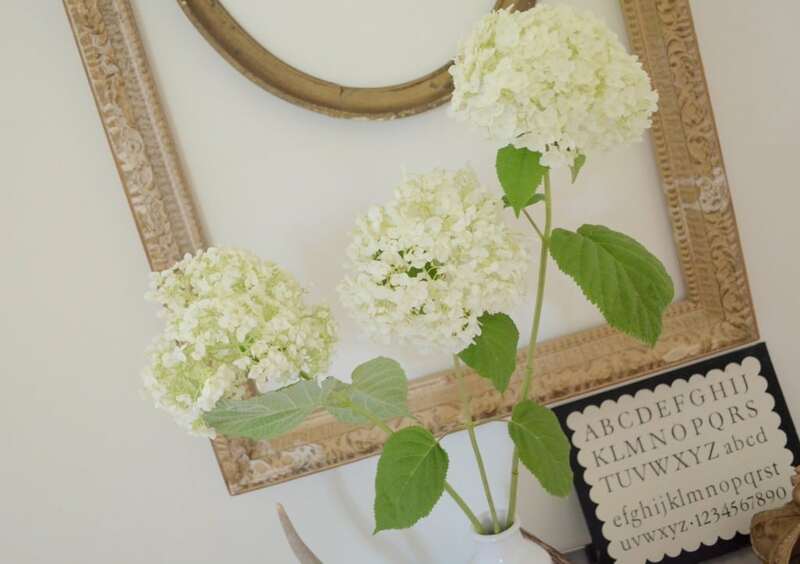 No need to ever buy me roses hubby dear, just more hydrangea plants! Although on second thought, I would LOVE some cabbage rose plants too. Will those grow around here? I’m liking this industrial cart here more all the time. 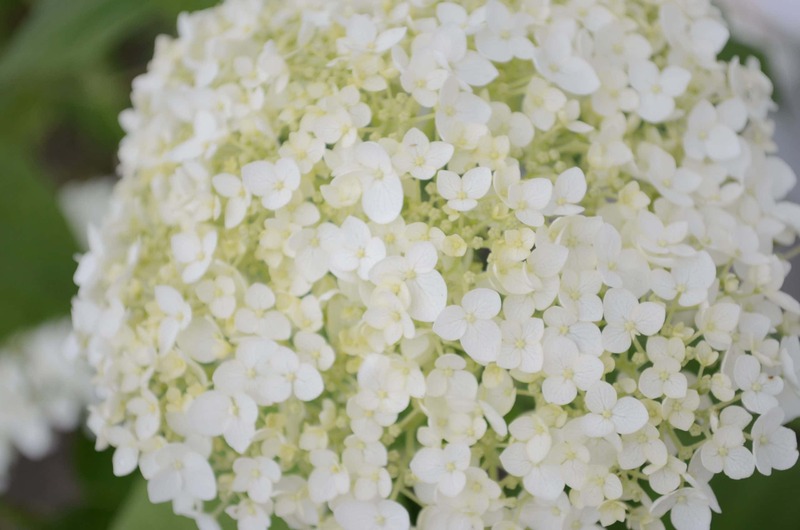 Do you grow hydrangeas? What is your favorite flower?? I do grow them, they are one of my favorites! thanks for your visit. I do not have any sort of a green thumb so I’ll appreciate your lovely flowers. And, as always, I adore how you have your house decorated and styled. Absolutely beautiful. i don’t have ANY hydrangeas. my mom does – and she usually gives me some to dry – Hey – where did you get that little alphabet card? I love that! the whole she-bang is wonderful – ooohhh – i didn’t check my mail box today. . .
Love hydrangeas.. but mine aren’t blooming yet. My MIL has lots of huge ones though so my type must bloom later. I have annabelle’s? anyway.. I also love Peonies.. waiting on them to get more established.. and bloom better too =) Just wish they weren’t so ant infested.. makes them not so nice to bring inside. Beautiful! 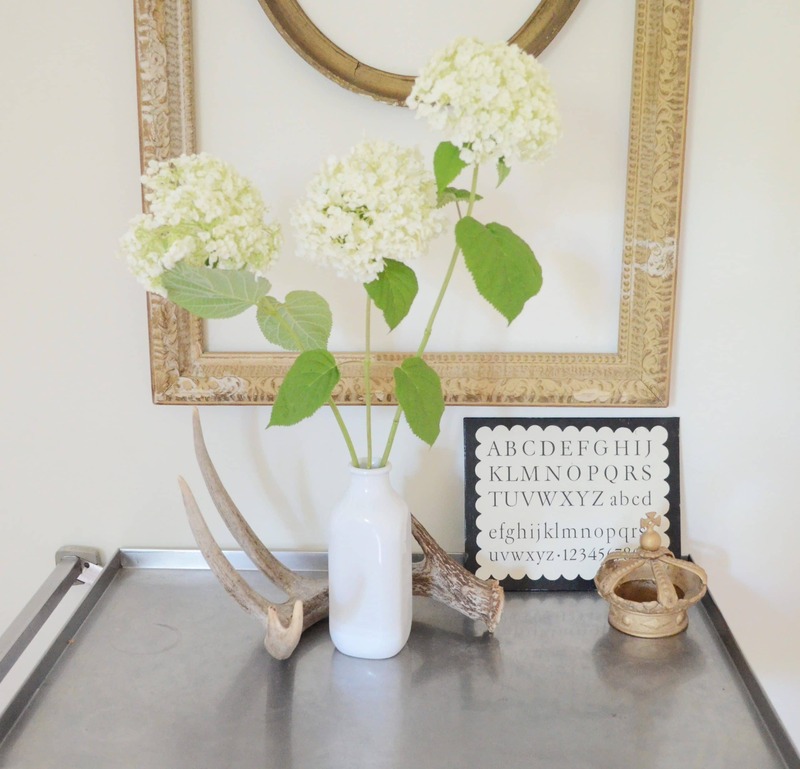 I love hydrangeas and have white ones, but don’t remember which kind. Connie Adams sells this variety for $18 each. She still has lots of them left. They are beautiful! They go so perfectly with your decor! I love hydrangeas, too! Mine are pink and I have bushes of them! They look so pretty when they dry! 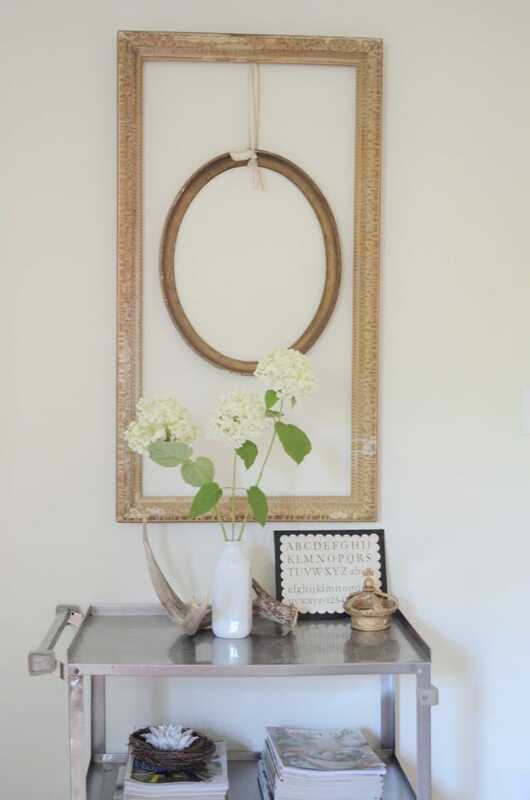 I love how you hung the frames! You have a wonderful blog! I’m now following you. I planted two of them last year, too! None of mine are blooming yet and I’d be very happy if my yard was filled with only white 🙂 hydrangeas! 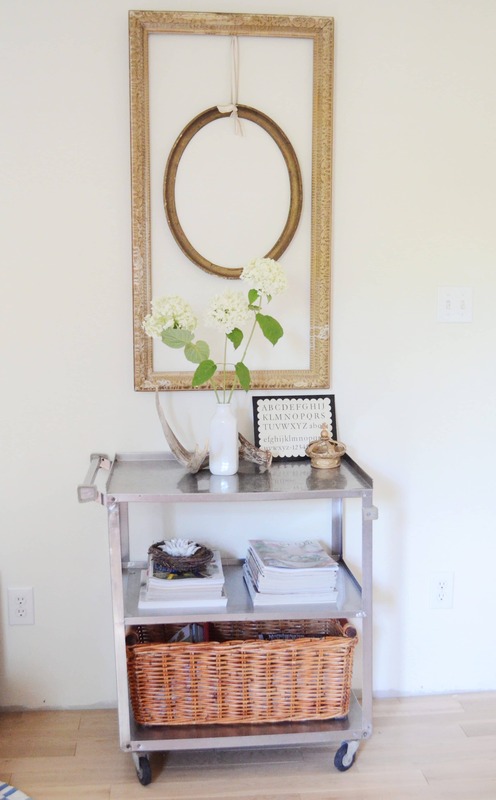 Love your industrial cart and ornate gold frame paired together!